In 2014 Servers delivered their stunning debut album Leave With Us, a rough-hewn thing of dark beauty that seemed as though it had been cleaved from the bowels of the earth itself. It was at once both a damning vision of the future and a commentary on a shared shadowy, feudal past. At the time of its birth, it might not have been clear to anyone except Servers themselves quite how prophetic Leave With Us would turn out to be. In the 2 years since its release it is perfectly possible to argue that the world has spiralled down into ever more confusion and unrest. The continued rise of the political far right; ever widening gaps between the super-rich and the poverty stricken; terrorist atrocities driven by inward looking governments, war, ideological disparity and religious fundamentalism; everything about Leave With Us and its examination of cults, control, chaos and a lack of reasoned, critical thought now seems like it was a highly prescient and insightful harbinger of what was yet to come. It’s the perfect time for Servers to return with their follow up then, the aptly – and deeply ironically – titled Everything Is OK, unleashed on the 19th of August via Undergroove Records. The next chapter in the band’s assault on the world of heavy music is heavy indeed. 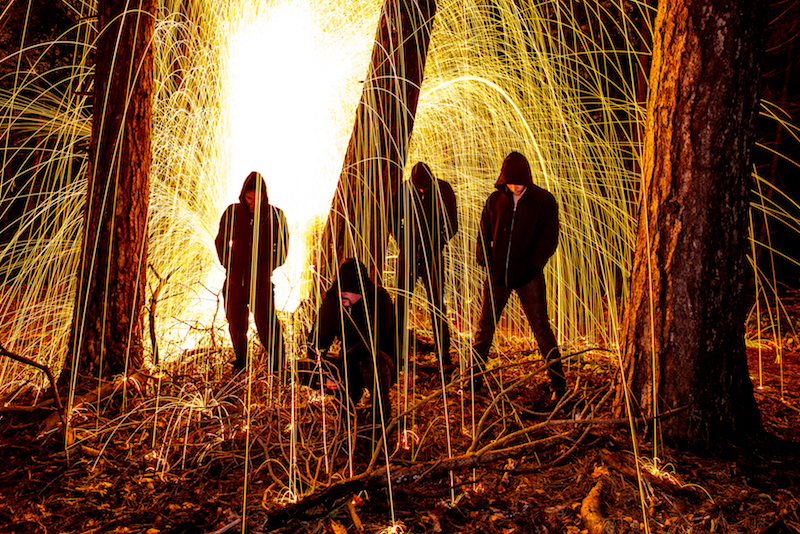 It is immediately apparent from opening track “Spells” that the songs presented here are more dense, layered and crushing than the band’s previous efforts. The rhythmic thrum of Ant Nettleship’s drumming coupled with Lee Wilde’s quake-inducing bass are gripping in their intensity. That weightiness carries through into the album’s themes. Obsession, social conformity, civil and political upheaval, the tools by which we create and accept our own oppression, the means by which we might finally break free from all of the above: they might not be new concerns for Servers, but the nuance with which they are explored and the real-world context into which they are presented makes them all the more urgent and vital. The increased might hasn’t come at the expense of Servers’ sonic identity, though. Everything Is OK marks out this group of South Yorkshire’s finest as being remarkable for the way in which their songs are immediately recognisable as their own. Be it a particular descending chord progression, THAT guitar tone or Lee Storrar’s momentous vocal delivery, Servers have unparalleled auricular distinctiveness. With the new material comes progression, too. Tracks such as the hugely impressive and excoriating examination of one man’s paranoia-induced existential crisis that is “My Friends Are Enemies”, or album closer “Into The Grave”, foreground new electronic tones and textures that work brilliantly as part of the wider musical tapestry. Whether they are providing ominous choral overtones, introducing a particular melody or adding a glitch-ridden and gnarly air of dreadful menace, they exist only to serve the songs and illustrate Servers’ untouchable songwriting craftsmanship. And Everything Is OK really does demonstrate how finely honed the band’s writing skills are. Rather than gimmicks or quick and easy payoffs that lose their fascination in double-quick time, the album is one that reveals many of its details gradually. As immediately pulse-quickening as much of the music here is, the collection is an expert lesson in the thrill of slowly building tension followed by epic release, and a testimony to how paying attention to the smallest of details provides some of the greatest and most rewarding results. Be it the lead guitar break that comes just shy of four minutes into “I Will Make You”, the slow-burn beginning and towering coda of the Charles Manson referencing “Unconditional”, or the unexpected but perfectly judged harpsichord intro to album centrepiece “Codes”, Everything Is OK proves Servers to be one of our nation’s greatest and most under-sung heavy songwriting units. Peers? There’s something of Swedish heavy metal titans Ghost’s stately metal elegance about Everything Is OK, and yet it’s not without a sense of fun or humour. The synth-led opening bars of “Into The Grave” recall Tool’s calliope intermissions on their landmark 1996 album, Aenima, for example. And whilst Servers never venture into their extended progressive explorations, there’s also something of Tool’s rhythmic dynamism to Storrar and Co’s new material. Queens Of The Stone Age and Killing Joke are surely influences, too. But it would seem perverse to spend any more time making comparisons in relation to a band that stand squarely on no-one’s feet but their own. Servers are one-of-a-kind; a unique prospect in British metal, and in Everything Is OK they have created a more than worthy successor to their already impressive debut; an album of subtle progression, devastating thematic heft and breathtaking heavy music. 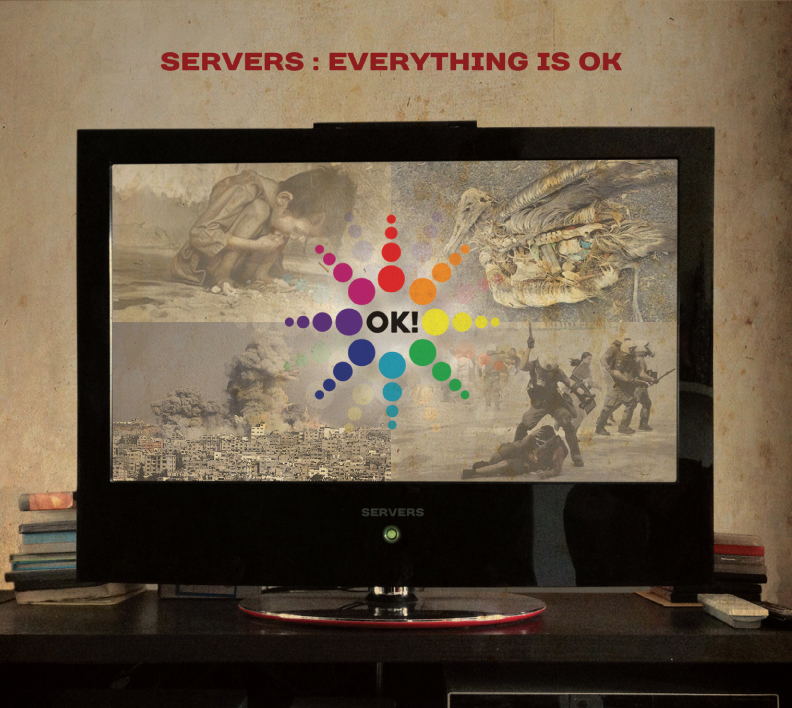 Servers will launch ‘Everything Is OK’ on Friday the 19th of August at Barnsley Rock & Blues. Support on the night comes from Hands Off Gretel, Awooga and Fear Lies. Tickets are available on the door priced at £5. Doors open at 7:30pm.